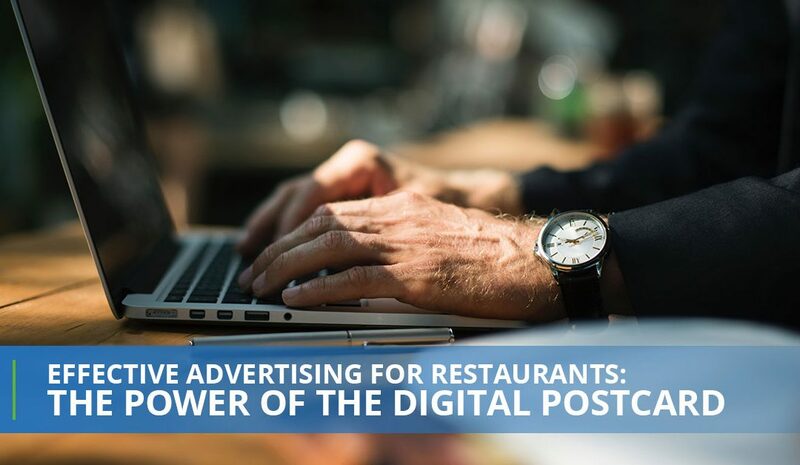 In Top Reasons To Include Digital Flyers In Advertising For Restaurants, we went over the benefits of digital flyers. Digital flyers can be extremely beneficial to get the word out about advertising for restaurants. Another service that we offer is digital postcards. Now, you may think that digital postcards are similar to flyers, but that’s not the case. In fact, digital postcards are just another effective method for advertising for restaurants, bars, and chains. At That’s Biz, we offer a variety of marketing methods that will get the word out about your restaurant. From Facebook ads to digital postcards, we’ll help you create a marketing strategy that will put your establishment on the map. Additionally, if you own a pizzeria, then we also specialize in pizza marketing. All you need to do is contact us for more information about the best forms of advertising for restaurants, bars, and chains. Digital postcards are a way for you to inform people about your restaurant in an efficient and effective manner. Instead of using direct mail, digital postcards will reach your ideal audience and provide them with exclusive offers. What’s great about digital postcards is how much money you’ll save as well as the unparalleled targeting. With digital postcards, you’ll reach 25,000 local prospects and the postcards will be seen on average three times more than direct mail postcards. There’s a more likely chance that information about your restaurant will reach more people because the typical lead time is around two weeks from the initial start of your digital postcard campaign. Unlike digital flyers, digital postcards help you reach the audience you’d like to focus on. While digital flyers allow you to track who sees your special coupon or other pieces of information, digital postcards will target your desired demographic and promote single coupons. What’s great about digital postcards and flyers is that it’s all done for you; you just have to customize it and utilize your email list to get the word out about your establishment. Your digital postcards will be sent to those in the area by using Facebook ads. Facebook ads — if you’re not aware — can help so much when it comes to advertising for restaurants. You’ll reach your target demographic, save money, and you’ll beat your competitors because they aren’t on your level. Digital postcards can help you do all of that by utilizing everything Facebook ads can offer and creating customized and engaging marketing materials with the many services and products we offer. Digital postcards are beneficial for any establishment because it saves you money. When you open a restaurant, bar, or chain, you’re going to lose a little bit of cash. Now, if there are ways to save you some money, such as with marketing, wouldn’t you want to do that? Of course, you do! You can save on postage and reach at least 25,000 people. Now, compare that to direct mail marketing where on average you only reach 2,564 homes. There’s no contest when it comes to what you should choose for your marketing strategy. With digital postcards, you’ll reach 25,000 local prospects, be seen three times more, and it’ll be delivered during the days and times that people will see them instead of on the mail delivery service. Reaching more people, saving money, and everything is done for you, it sounds too good to be true; however, it’s just That’s Biz making it simple for you. Can Digital Postcards Get You Great Results? Now, let’s dive into the results of digital postcards. This is one of our favorites because the results are really what highlight the benefits of digital postcards. Digital postcards will build your email list and target your audiences. It’ll also reach more people around your area who may work, live, or just be traveling through the area. Additionally, you can expect to target customers that are interested in your competition, which can help you drive sales in your direction instead of toward opposition. Digital postcards offer exclusive single use as well, so you don’t have to worry about someone using it multiple times. If you’re a new restaurant, bar, or chain, then grand opening and special events can be a great opportunity to share the news of a new establishment in the area. Lastly, you can see the order sales to further understand what you should continue doing and what you should skip the next time you want to do an exclusive event. For more information about our services, don’t hesitate to contact us!